Rudbeckia are popular perennials in many of our area’s flower beds. 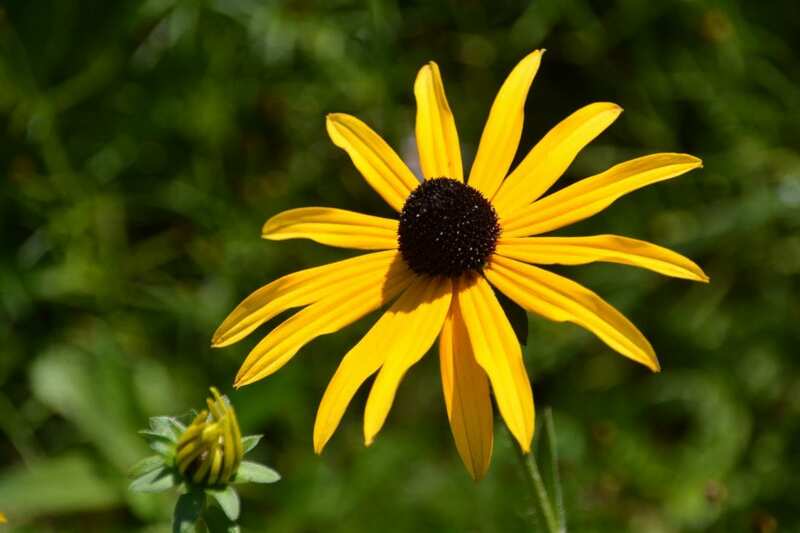 You may be more familiar with this plant’s common name, Black-Eyed Susan. Since they multiply every year, these plants are a great way to fill up a corner. They also make excellent border flowers. They’re beautiful in flower arrangements, too. The Goldsturm variety is extremely easy to care for. In fact, they’re pretty much maintenance-free! This is a native plant that loves clay soil. You’ll have great success growing it in Rock Hill and other areas of York County. Plus, they’ll grow and produce blooms in even the harshest South Carolina summers. In fact, they make great additions to rain gardens. They’re also friendly to wildlife like bees, birds, and butterflies while keeping deer away. Plant your Rudbeckia Goldsturm in full sun or half sun/half shade and you’ll enjoy bright yellow blooms from the middle of summer to the early fall. After the flowers die, leave the black cones of the centers standing for a while so the birds can enjoy the seeds. If the plants spread beyond where you want them to grow, simply dig them up and relocate them—or share them with a friend!